Also known as the Bach 50b, Bach 50B, Bach 50b3, or Bach 50b3o, the Bach LT50B3O is a fantastic independent double trigger bass trombone. I use the 9 ½ inch bell model for more focus of sound. The 10 ½ inch bell model is a bit too big for me. The independent triggers offer more alternate position options which is handy, but you have to develop your left thumb and second finger coordination to utilize them effectively. I use a bullet brace to help free up my thumb and finger for the valves and to better balance the heavy horn. I like to use the standard Gb tuning for the second trigger. The 50 has a great sounding low range! It is also very even throughout the regular range as well. I use the Bach 50 for both symphonic and commercial work. 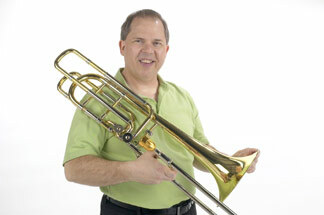 My first bass trombone was the popular Holton 181, which is a fine bass trombone. It just didn’t suit me like the Bach 50 does. I never felt comfortable with the positions on it. The 50 almost feels like I’m playing a very big tenor rather than a bass, which I really like. Even though I play tuba, I never thought I would care that much for playing bass trombone but I was wrong. With the Bach 50B3O, I love bass trombone playing now! This instrument review was with a Monette BT 1 S mouthpiece. 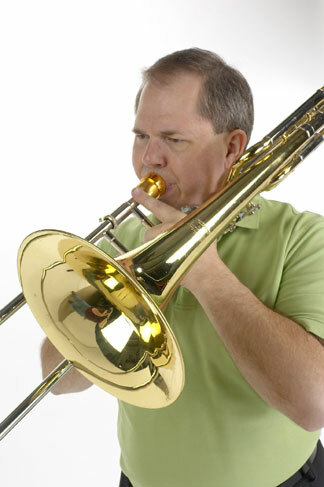 Bass trombones are available with double trigger valves as well as a single valve. There are two systems – dependent and independent valves. With dependent valves, the second trigger only works while the first trigger is engaged. With independent valves, the triggers can be used together or separately. The first trigger is an F attachment valve. There are some different options for the tuning of the second trigger. The most common is the Gb tuning. This tunes the second trigger to Gb, Db and low Gb when used with first position, like F, C and and low F with the first trigger and first position. When combining the first trigger and second trigger together, a low D below low F can be played in first position. 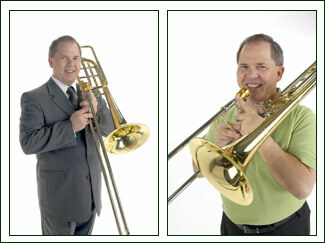 For more detailed information on bass trombone double triggers, see “The Double Valve Bass Trombone” by Alan Raph and published by Carl Fischer (04808). It is an outstanding method book for bass trombone by one of the best players around. "Stradivarius" - Double in-line independent rotor system, Bb/F/Gb, .562" bore, 9-1/2" one piece yellow brass hand hammered bell, lightweight nickel silver outer handslide tubes, chrome plated nickel silver inner handslide tubes, open wrap "F" section with traditional rotor, clear lacquer finish. Comes with genuine Vincent Bach large shank mouthpiece and zippered cordura hard shell case.